Pirate Prerogative was nominated for a Liebster Blog Award from the lovely ladies at Toot Sweet For Two. The Liebster Blog Award is given to up and coming bloggers, by their peers. The blog nominees have less than 200 followers or have been blogging for less than 6 months. The award helps to recognize new blogs and share their labors of love. It is actually known as the Love Blog Award, too. In case you were wondering, Liebster translates to “dearest” in German. 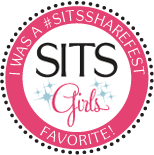 I'm grateful to be a nominee and to share some other blogs that are just as deserving. Choose 11 new blogs you love and link them in your post. Please leave me a comment on this post with the URL to your Liebster post so we can learn more about you! I really like glass trucks, I think they're neat. I don't like other people cutting my hair. Until my sister-in-law became a stylist I cut my own hair. I still do sometimes, and I always color it myself. I was on the wrestling team in 6th grade. I like to make up jingles. I think I could make a career of it if nothing else worked out. I eat dessert for breakfast a lot. I am known for my baked mac n' cheese and my eggplant parmesan. I have a strong intuition and tend to know things before they happen, really. My favorite word to say is yarn. Say it, it's fun. My hair has been EVERY color except for brown. It's also been nearly every style, shaved, mohawk, long, short, etc. Condiments are delicious. I love mustard and have even put it on brownies (I was not pregnant at the time either). Salsa verde probably runs through my veins. It started off as something fun to do. It still is really fun, but now it's become so much more. I like the connection with readers, the community of other bloggers, and sharing my stories. 2. What is your favorite post (that you’ve written) to date and why? Wow, I didn't think this question would be so hard after only 3 1/2 months of blogging, but I have over 70 posts that are all special to me. 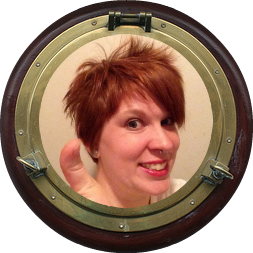 I guess it would be a tie between Punchy McShort Fingers, because it is my birth story, and Yo Ho Ho Ho, because it was fun to write. I don't read nearly as much as I used to, but I'm okay with that. I am technically reading The Art of Racing in the Rain, but I started it over 2 years ago. Then I got pregnant, switched to pregnancy books, and got busy with raising a human. 4. Name 3 places you would love to visit. France, Italy, and Japan. The Captain would like these places too since their are Disney parks in 2 out of 3. Someday. 5. What is your favorite childhood memory? Riding my bike. We would be out nearly all day riding around and discovering new things. My best friend and I would ride down to the creek and play. I also had a sweet black Huffy bike with teal and pink splatter paint and a radio on the front. Good times. 6. What is your favorite movie of all time? Again with the tough questions. I think it would be another tie between Mary Poppins and The Sound of Music because I watched them all the time as a kid. However, my modern day taste in movies has definitely changed. 7. Name 3 places that you’ve been to and want to visit again. Kauai, Hawaii. This is the only vacation destination I have ever been able to go and truly relax. Disney World. We went on our honeymoon here and had a blast. I also had the best meal of my life at California Grill. Our waitress was amazing too. Green Bay, Wisconsin. I've got a lot of relatives there and we would love to go to a Packer's game at Lambeau. 8. If you could live anywhere where would it be? You might expect some exotic location, but I think I would pick San Diego. We worked so hard to get back here, it seems silly so leave. It would definitely be in our own home though, not my parents! 9. What are your top 3 blogs to read? 10. What is your favorite type of music? I really do like a wide variety, but my favorite will always be Punk Rock. 11. What is your favorite type of pizza? Tomato Artichoke at Bronx Pizza in Hillcrest. What's your best blogging tip? If you could meet anyone (living or deceased) who would it be? Do you think you would survive the zombie apocalypse? What's your favorite blog post you've written? If you were a pirate, what would your pirate name be? 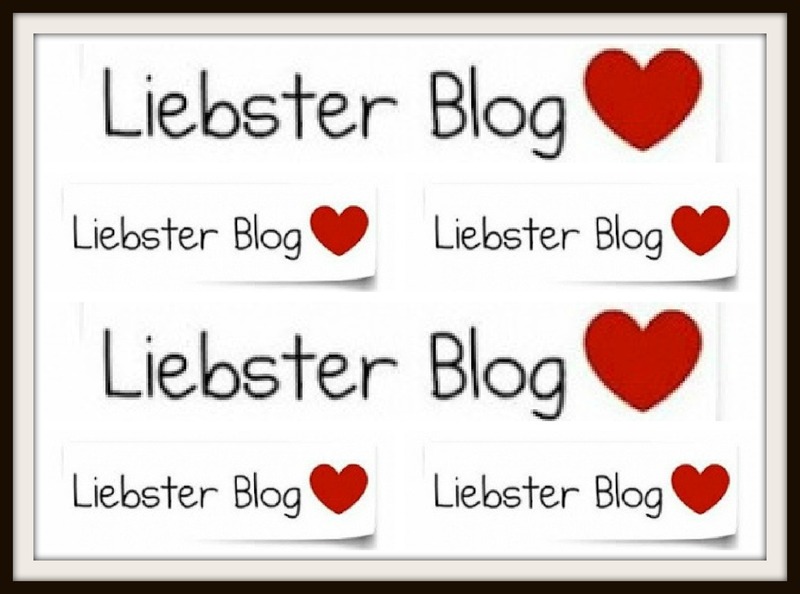 My Liebster Blog Award Nominees! Nick Bane! The bane of toon existance! It's actually pretty difficult to find 11 new or up and coming blogs. Most of the blogs I read frequently have been around a while. I must admit, I cheated a bit here. I tagged back Toot Sweet 4 Two who nominated me and I also picked two different blogs with the same author. I couldn't find any others. I used all my social media outlets to find more, but that's it. I guess it just goes to show how difficult the blogging world is for up and comers, they get lost in a sea of seasoned bloggers. If you were one of the nominees be sure to leave a link back your Liebster post. If you weren't one of the nominees, feel free to leave a link to your blog or another blog you love.